It’s January, and it’s cold outside! Stay in this month by planning a movie night in with friends. The Westchester Park Blog has a few ideas to help you throw your next movie night. 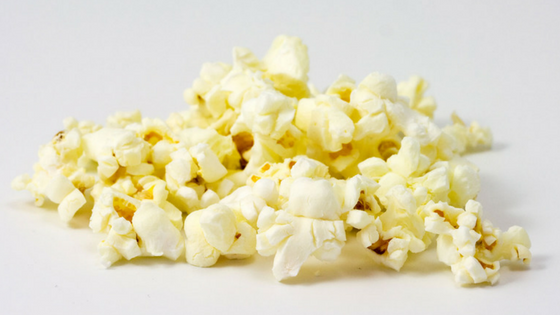 We’ve included decorating tips, movie snack ideas, and movie recommendations in this post. Light up the night with a few glow sticks. Glow sticks are the perfect solution when you want to keep the lights low enough to watch the movie but bright enough that you don’t trip over the other guests on your way to the bathroom or the concession stand. A string or two of twinkle lights can also come in handy when you’re throwing a low key movie night with friends. Ditch the soda and give your guests the option of getting their drinks from your hot chocolate bar. Include several cider options for anyone who isn’t a fan of hot chocolate. Marshmallows, spices, peppermint sticks, chocolate chips, whipped cream, and candy will sweeten up any movie night. Is your movie night going to be more casual? Build your own blanket fort. Pull out the sheets you don’t usually use and all of your pillows to build a cozy fort for all of your guests to enjoy. This idea is best for small parties with close friends. Chances are, your guests will want a variety of treats and snacks for movie night. Make your own concession bar with candy, popcorn, and chips. Offer fruits and veggies for a healthy movie night snack option. Just make sure that you have enough food for everyone to enjoy. There’s no movie night without a movie. This month we are loving movie musicals. We recommend playing an old Hollywood classic like The Bandwagon (1953) for your movie night this month. Fred Astaire and Cyd Charisse play dancers that fall in love as they stage a Broadway musical. You’ll find the song and dance numbers of this classic movie charming and enchanting. If you want to go out to the movies this month, we recommend seeing the dazzling La La Land (2016). Mia (Emma Stone) is an aspiring actress dreaming of making it big; Sebastian (Ryan Gosling) is a jazz pianist who wants to open his own club. The two fall in love, but their commitment to their crafts threatens to tear them apart. This throwback to classic musicals will have you singing and dancing for days. We hope that you have a great month here in Manhattan, KS! Do you have any movie recommendations for us? Let us know what your favorite movie is in the comments. Thanks for reading our post!